If there's a specific hotel chain in the Philippines that I keep coming back to, it would be Microtel Inn & Suites by Wyndham. I've always enjoyed my time with them because whichever property I’m staying in, I’m sure to get the best from them. I just love their distinct taste when it comes to the design of their rooms and facilities, as the decor is very consistent in terms of style and arrangement. I also love Microtel's hotel staff (from the front desk to housekeeping), as they always provide a pleasant customer experience. 1. DOWNLOADED the app from iTunes. 2. REGISTERED my contact details. 3. CLICKED 'HOTELS' option on app interface. 4. SEARCHED for my preferred hotel (Microtel, Mall of Asia). 5. READ the ratings and reviews, and then proceeded to room selection (chose the Double or Twin Two Queen Beds with free breakfast). 6. CHECKED both my booking details and my contact information. 7. REVIEWED my hotel booking. 8. PAID using the Credit/Debit Card option. 9. 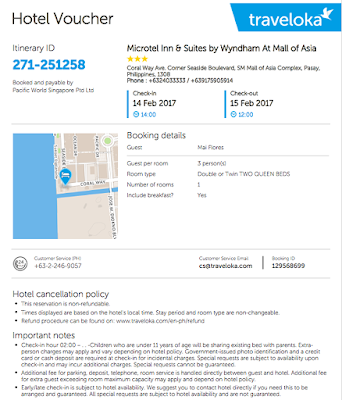 WAITED for the Issued Hotel Voucher (and official receipt) in my email. The total price that reflected when I selected my preferred room type was P4,860.94 (good for 3 guests). I didn't get to use a promo code this time (unlike the discounts that I got for my hotel bookings for Dumaguete and Siquijor). But at least I was assured that the initial price was also the final price at checkout. There were no hidden charges. NOTE: There are always discount codes in the "Ongoing Promos" tab. So make sure to check that all the time. There's another great thing about booking via Traveloka, and that was having the option to go paperless. 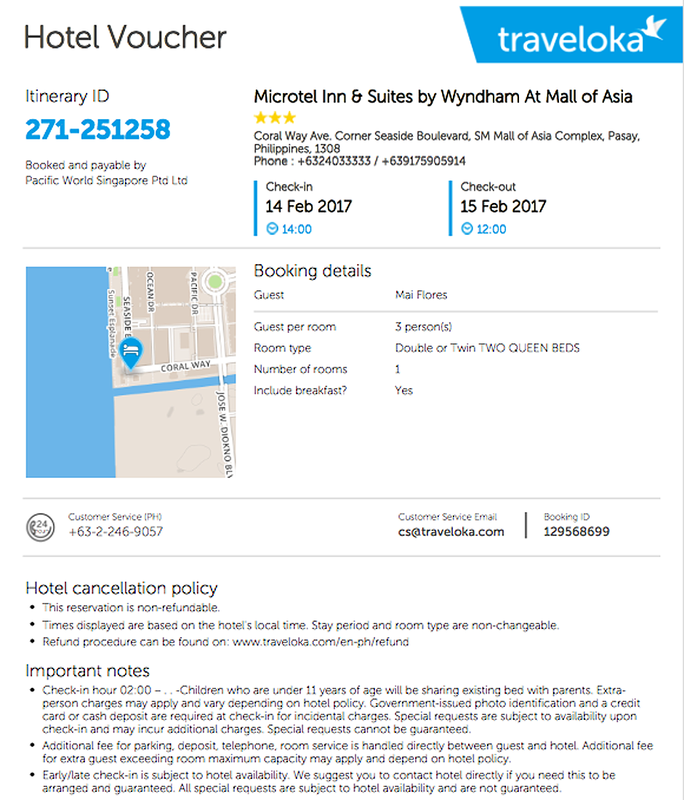 I no longer needed a printout of my hotel booking voucher, as I saved a copy on my phone, which I presented upon arrival. 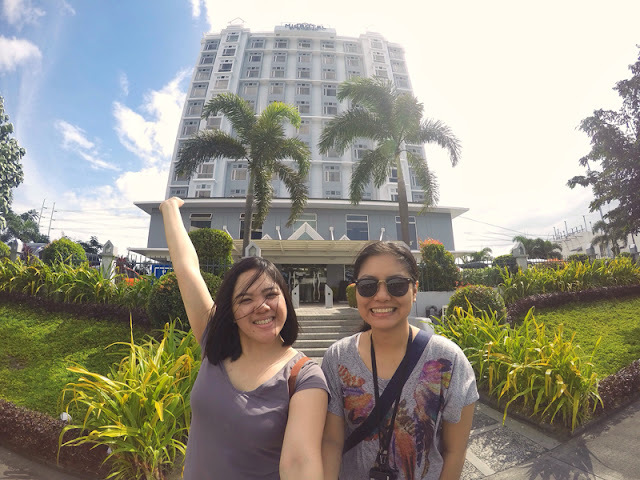 I've already been to Microtel's four other properties (General Santos, UP Technohub, Libis, South Forbes), and the experience has always been pleasant and world-class. I'm glad that I've finally gotten the chance to book their hotel in Mall of Asia, as it offered one of the best views of Manila Bay. Of course, there was no sure way to get the room with the sunset view. But I made sure to request for it via email days before my stay. My email was acknowledged, but my room preference was still subject for availability. Luckily, we were able to get one upon check-in. It's always a treat when I stay in Microtel because they have the best chiropractor-approved mattresses -- great for people like me who have chronic back pains. I really get the best sleep in days whenever I slumber in their lovely hotels (read my recent stay at South Forbes). Our spacious room also had one of the best views in town. Once we opened the curtains, the view of Manila Bay immediately greeted us. The scenery was lovely during the day. But it was more beautiful at nighttime. I commend the staff that was on-duty during our stay like Mike, who handled our check-in. He was kind enough to assure me that my request for a sunset-view room was granted. I was also able to see Redge, who I was in correspondence with via email days before my booked stay. She was the one who took care of us during checkout. There was also one more lady at the Front Desk who helped us, who I believe was the one who kept receiving our calls whenever we’d request for extra toiletries, or when we'd ask why the room on top of us created so much noise. I also commend the security guards and the housekeeping staff that manned the 10th floor and the rooftop pool because each and every one of them always greeted us a “Good Morning” or a “Good Evening”. They were nice and accommodating all throughout our stay, which I truly appreciated. Out of all the eateries by the seaside, my friend Kaiye and I chose to have dinner at GRILLA Filipino Cuisine. Not only were the staff nice and attentive, the food that we ordered was also surprisingly good and affordable. Of course, we couldn’t skip on dessert, so we also visited Conrad Hotel (just right across Microtel) where BLK 513 was (for some yogurt fix). 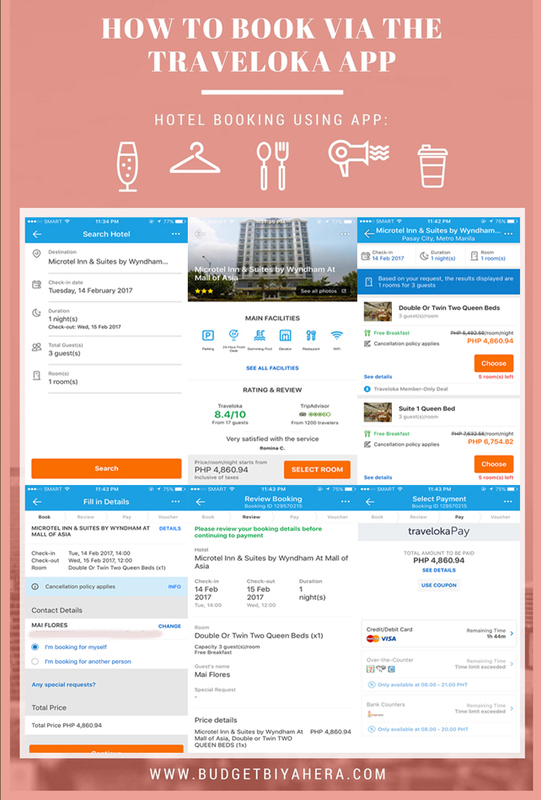 All in all, my booking experience via the Traveloka App, up until checkout from Microtel was a breeze. Everything was conveniently and efficiently processed via the mobile app. 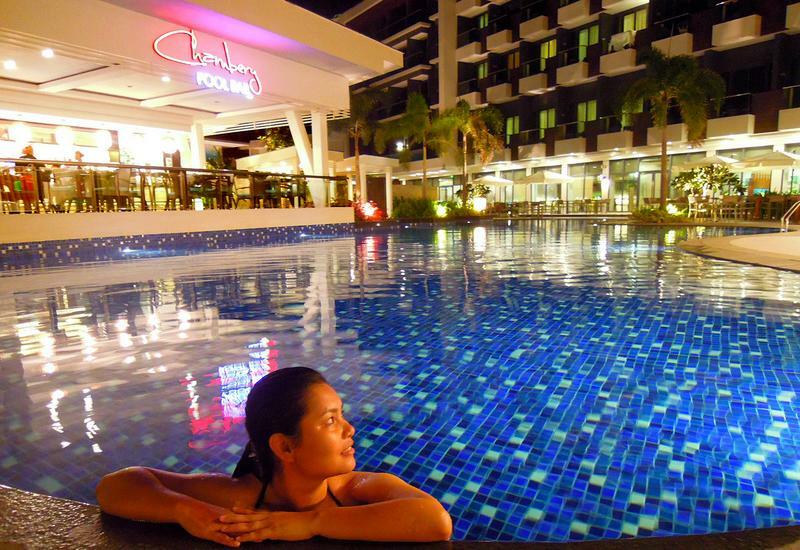 And I definitely see myself using it again on one of my future hotel stays in the Philippines.